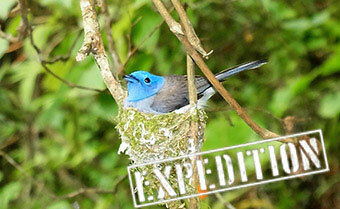 Nature Expeditions :: Articles :: Should I replace my Canon EOS 70D with the Canon EOS 7D Mark II? If you have any questions about my tours or require further information, I am always happy to hear from you. Feel free to contact me by email or phone. Should I replace my Canon EOS 70D with the Canon EOS 7D Mark II? I’ve been using my Canon EOS 70D since its launch in early 2014. The Canon EOS 7D Mark II wasn’t launched until the end of that year so I didn’t have this dilemma at the time. Why not join me on this photographic expedition to Taiwan in April 2019. Only a small group of six of us. I speak Chinese! Good bird and landscape photography opportunities. Both these cameras have APS-C/1.6x cropped sensors. For wildlife photography, where you need high magnification of distant subjects a camera which has an APS-C/1.6x cropped sensor is better than a full-frame sensor. To explain this a little better I’ll use my Canon EOS 5D Mark IV with it’s 30.4 MP full-frame sensor as a comparison – if I mount my EF 400mm f/4 DO IS USM lens on my EOS 5D Mark IV I get just that, a 400mm f4 with 30.4 megapixels. If I mount the same lens on my EOS 70D with its APS-C/1.6x cropped sensor I get a 1.6x magnification producing a 640mm f/4 with a 20.2 megapixels subject image. Both fine you might say! But the extra magnification with the crop-sensor means I fill the frame with the subject. To get that same magnification using my Canon EOS 5D Mark IV 30.4 MP sensor I would have to crop the subject image later in Photoshop to leave me with a similar-looking image but made from only 13 megapixels. The Canon EOS 5D Mark IV is a better camera for everything else where you’re not cropping the subject, just not as a wildlife camera using big lenses. I would never be without a crop-sensor camera for wildlife. The Canon EOS 70D has now been superseded by the EOS 80D in 2016 but I’ve decided that the upgrade to 24 MP vs 20 MP and 45 vs 19 cross type focus points is insufficient justification to change at this time. Everyone has been raving about the new Canon EOS 7D Mark II since its launch with its impressive list of pro-grade specifications. It stands to reason that I’d want the 10 fps continuous shooting and 65 cross-type autofocus sensor so I’m not going to dwell on that. For me I only want to focus on the less important specifications that are important to me and I’m going to go through these one by one. Firstly, the 7D Mk II has what they’re calling ‘Enhanced’ environmental sealing, for the 70D they just call it ‘weather sealed’ I can’t find out what the difference is, but for me weather sealing is important but I don’t know if this is better or not. Secondly, I have built-in GPS on my 5D Mark IV and as I always carry this body together with my 70D it is not difficult to know GPS data when I’m away. I don’t need this in my crop-sensor camera. Nearly always have it switched off anyway. Actually the Built-in Wireless that the 70D has and the 7D does not is a negative for the 7D, I use the remote wireless quite a bit. The 7D is 155g heavier than the 70D which is a real negative for the 7D and the 7D is now starting to look like a poor alternative. 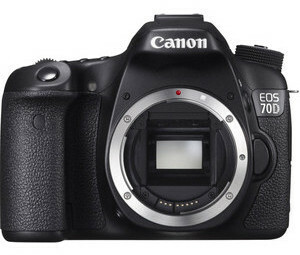 The 70D has a fully articulated screen whereas the 7D’s is fixed. An articulated screen is really useful and I don’t know why the 7D and 5D don’t have them. 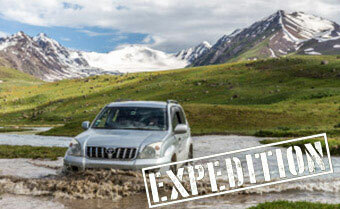 Why not join me on this photographic expedition to Kyrgyzstan in June 2019. Only a small group of us in two vehicles. You can get to drive if you wish! Good bird and landscape photography opportunities. Now the clincher for me is that the 70D is touch-screen and the 7D is not. I’m getting older and I need reading glasses. I do use many of the quick-access buttons on my 70D and 5D Mk II, but I find the touch-screen on both these cameras vital for adjusting settings. I really wouldn’t be able to cope with the 7D. So there you have it, the decision’s made. I will not change to the 7D Mk II and will stay with my trusty 70D until the Canon EOS 90D is launched possibly in 2019. The Canon EOS 90D is rumoured to have a new generation digic 7 28 MP processor, 4K video and retain the 45 cross type focus points from the 80D. If it also comes with the 'Intelligent Tracking and Recognition' (iTR) focus system from the EOS-1D X I'll be all over it. 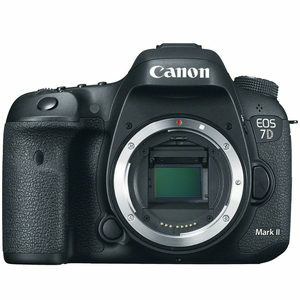 I fear I would have really regretted moving over to the 7D Mk II had I done so.